by Cynthia Jaffee McCabe (ed); Gail F. Stern (fr); Michael Novak (pf). 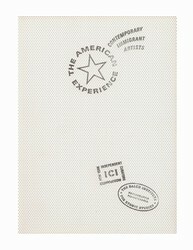 Catalog of a traveling exhibition. 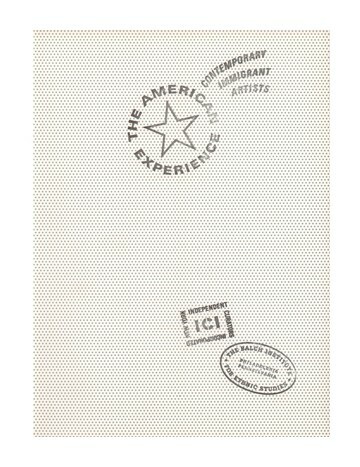 Essays: Immigrants & Refugees: The Internationalization of American Art, by Cynthia Jaffee McCabe; Immigrant Artists: A Conceptual Framework, by Yi-Fu Tan; & Immigration & the American Experience, by Thomas Kessner. Also features works by immigrant artists: Siah Armajani, Arman, Sonia Balassanian, Zigi Ben-Haim, Skunder Boghossian, Derek Boshier, Lito Cavalcante, Christo, Dina Dar, Rimma Gerlovina, Juan Gonzalez, H. N. Han, Patrick Ireland, Alain Kirili, Komar & Melamid, Ewa Kuryluk, Joshua Neustein, Naul Ojeda, Nam June Paik, Lucio Pozzi, Guillermo Pulido, Jochen Seidel, John Stockdale, Athena Tacha, Masami Teraoka, Cesar Trasobares, Mindy Weisel, & Yuriko Yamaguchi. Illus.